It is brilliant to see so many local, craft breweries opening up and being received by the public with absolute enthusiasm. Apparently CAMRA; the Campaign for Real Ale is thinking of disbanding as there is now so much good beer available their job is done. Beer festivals are really popular and many small breweries have a licence to allow brewery tours and an open day every Friday for locals to enjoy their beers. This is exactly what we at BigBarn want; Local people reconnecting with their local producers. Drinking beer is not the only way to enjoy a luscious ale. There are plenty of ways to use it in your cooking even in the warmer months. The rich flavours and aromas can give your cooking depth and excitement. The famous beer bum chicken is a great way to experiment with cooking and enjoy a BBQ at the same time. So let’s celebrate beer this week and discover and support our local breweries. 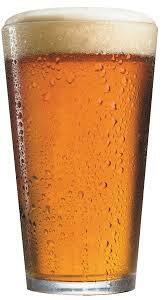 – Beer used to be healthier than water because it was boiled and thus sterilised from pathogens. So children, manual workers and drivers would drink beer all day! – The word “bridal” comes from 19th century Englishmen, who took out their mates for a final “Bride Ale” the day before their wedding. 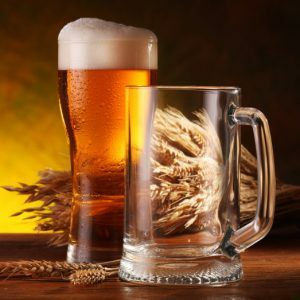 – The first consumer protection law ever written in 1516 was a purity law limiting the ingredients of beer to barley, hops and water. – Monks brewing beer in the Middle Ages were allowed to drink five quarts of beer a day. – The Pilgrims landed at Plymouth Rock because they had run out of beer on the journey. – Hops in beer mean brewers don’t have to have high alcohol content to prevent spoilage. – The first references to beer dates to as early as 6,000 BC. – Tab opening aluminium cans began in 1962, by 1970, over 90% of all beer cans were self-opening. – President Theodore Roosevelt took more than 500 gallons of beer with him on an African safari. – Beer wasn’t sold in bottles until 1850. Beer lovers would visit their local tavern with a special bucket, have it filled and then begin the merry journey home. If you have a favourite beer recipe that you’d like to share, or any other recipe, and would like the chance to win a prize, please video your recipe and add it to KIS (Keep it Simple) Cookery. Please have a look at existing videos here and try and keep your video less than 2 minutes long.